Today, a lot of Americans will go out and get drunk on Mexican beer and tequila in celebration of Cinco de Mayo. In a long history of looking for any excuse to drink and party, Americans have siezed on to this holiday in much the same way as they have embrace St. Patrick's Day. Actually, I find it a beautiful thing. The two holidays represent two periods of immigration that have profoundly shaped American culture. It's easy to forget that Irish immigrants were once as demonized as Mexican immigrants have been of late, and to see a holiday celebrating Mexcian heritage become nearly as mainstream as St. Patrick's Day shows a shifting of opinions and attitudes. 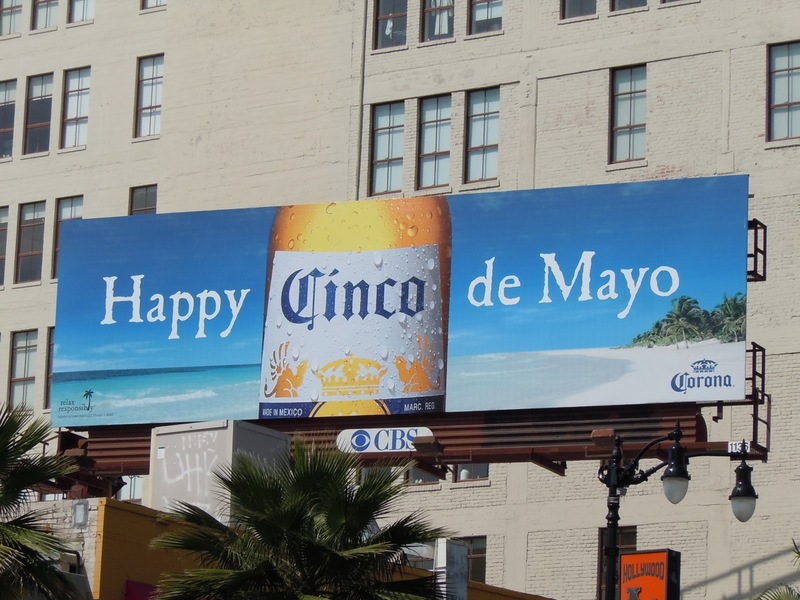 Yet, how many people have any idea what Cinco de Mayo actually celebrates? I bet you'd be surprised to hear that the events that Cinco de Mayo commemorates played a pivotal part in U.S. history. Had that day gone differently, the country we live in and the world we live in would be a very different place. The basics seem typical for a holiday and not very relevant to history outside of Mexico: On May 5, 1862 a poorly equiped Mexican force of 4,000 soldiers defeated a well equipped French invading army of 8,000 soldiers who hadn't lost a battle in 50 years. It was the Battle of Puebla. It was a remarkable feat but didn't even win the war. A year later France showed up with 30,000 troops, occupied the country and made Maximilian I the emperor of Mexico. So you might think that this holiday is a rememberance of a plucky group of soldiers how defied the odds and staved off the inevitable. How quaint. But as recent anniversaries may have reminded you, our Civil War was going on at about the same time. How were the two connected? France wasn't invading Mexico just for fun and carnitas recipes. France's Emperor Napolean III had big plans for a grand French empire and the emerging power of the U.S. was an obstacle. With the U.S. distracted by the Civil War, he knew he could take Mexico without our interference. From there he could supply the Confederacy, split up the U.S. and nip our budding super-power in the the bud. Unforutnately for him, 4,000 plucky Mexican soldiers delayed his plans by a full year. By the time he'd finally taken Mexico and was ready to start supply the Confederacy, the North had built a formidable army and defeated Lee at Gettysburg. The French help was too little too late for the South. As soon as the Civil War ended, the U.S. sent 50,000 troops to the border with Mexico. A year later, France began it's withdrawal. So go out and have a beer. Do a shot. Raise a glass to 4,000 Mexican soldiers who helped make us what we are today.